Dead Men don't commit murders. Or do they? A flawed heist of forty gold bars from a security van late at night. One of the perpetrators is killed by his brother as they argue over what they have stolen. Eighteen years later, the murderer, released after serving his sentence for his brotherâ€™s murder, waits in a church for a man purporting to be the brother he killed. The threads stretch back a long way, and now more people are dying in the search for the missing gold bars. 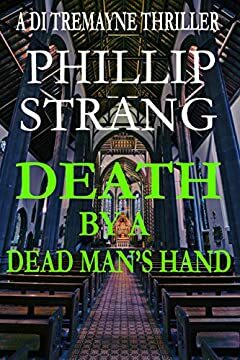 Detective Inspector Tremayne, his health causing him concerns, and Sergeant Clare Yarwood, still seeking romance, are pushed to the limit solving the current murder, attempting to prevent any more.